Currently testing the battery usage. 50% screen brightness with a mix of web browsing, app installs, video, camera and games. Just did a charge from 0%. On wifi/4G but screen off. Anonymous, 21 Apr 2017I am OK with losing everything when my phone switches from a generic CSC to a carrier specific... moreNo. AnonD-663413, 21 Apr 2017Wait. What? I have a Note 3 (which I am finally replacing with an S8+ :) ). It is unlocked an... moreIt only apply the first time a sim is used. Im not completely sure but this hard reset thing starts since galaxy s7. Look for a forum about it. Quite many users discussing about this. AnonD-663073, 21 Apr 2017Its an amazing phone because of its specifications but its design not that much..it looks weir... moreActually, the 6.2" S8+ is narrower, easier to hold and use than my 5.7" GN4. 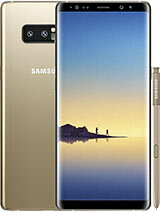 Its an amazing phone because of its specifications but its design not that much..it looks weird..
WTF Samsung 6.2" its huge, idk is it a phone or a tablet..it will be hard to use, maybe the next year it will be 22"..guys, people dont look at the phone for its size..
Why every new Samsung phone has got a 12mp camera, the GN4 has got 16mp camera, then it started to go down..and of course the battery for S8+ is too small. - The black looks great and the device feels really well built. - Initially it looks a touch long but doesn't take long to feel normal. 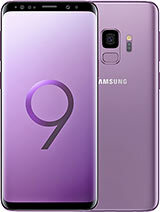 - The S8 is grippier than the GN7. Not as grippy as my GN4. - In relation to the black stripps. On the Black phone it is really difficult to notice so not an issue. - The Samsung phone data transfer system is really slick. - The curved edges are gentle and don't create issues. - The camera gas an 18.5:9 resolution (4032x1960). Personally i will be using 16:9. - The camera performance is a massive step up on the S7 for inside pics. Haven't checked outside yet. - Forgot to check the ram before installing apps. Currently it is using 1.6/4.0GB when cleared. The fingerprint location isn't great. Would be better below the camera. Have hit the bixby button a few times. Volume rocker keys could be a touch lower. Will post more later once i have used and tested it but overall it is awesome so far. AnonD-621510, 20 Apr 2017This happens because when the SIM card is inserted, its carrier is detected and the phone swit... moreWait. What? I have a Note 3 (which I am finally replacing with an S8+ :) ). It is unlocked and I swap sims whenever I travel out of country to my "roaming" sim. It doesn't reset when I do this. Is this a new thing or does this only apply the first time a sim is used? Hands down the most beautiful phone i have ever seen. And that's saying much because i've never preferred the s line over say the note line. Excited for what the next note will be like. AnonD-621510, 20 Apr 2017This happens because when the SIM card is inserted, its carrier is detected and the phone swit... moreI am OK with losing everything when my phone switches from a generic CSC to a carrier specific CSC. Will the hard reset occur if I temporarily switch to another carrier's SIM card (while I travel to overseas) and when I switch back? Anonymous, 20 Apr 2017The display is a little more than 2k and less than 4kSo do you mean this using Full HD , sir ? 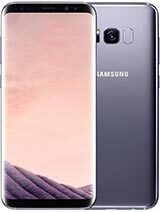 Disappointed_S8_User, 20 Apr 2017Just got my new S8, spent a few hours setting everything up with WiFi....but as soon as I inse... moreThis happens because when the SIM card is inserted, its carrier is detected and the phone switches from a generic CSC to the CSC of that carrier. Changing the CSC on a Samsung phone always results in a factory reset. 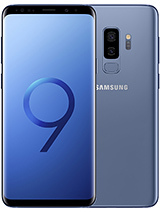 It is one of the reasons that carrier employees are supposed to insert the SIM card into the phone before giving it to the customer in the store. For those who receive their phone by mail, unfortunately there is no warning. A good rule of thumb for Samsung phones (and probably a good idea for all Android phones in general) is to always insert the SIM card before doing any setup of any sort. Anonymous, 20 Apr 2017The display is a little more than 2k and less than 4kThe QHD+ 2960×1440 display is almost 3K (3072 x 1536). Definitely better than any other flagship that still using regular QHD (2560x1440). Joselius, 15 Apr 2017Tech savvy person should know IR transmitter also sold for a cheap price that you can simply b... morewhy need to buy the IR blaster separately if it's easily built in on the phone like note 4 and earlier models, I'm just saying it'd be more handy if it's built in and i'm sure a good number of users out there would agree with me on this one. 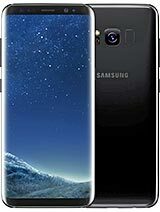 Total of 2551 user reviews and opinions for Samsung Galaxy S8+.